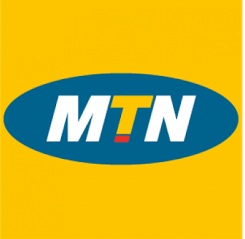 MTN Beta talk is another new prepaid call tariff plan from MTN Nigeria. This new prepaid call tariff plan (MTN Beta Talk) reward allMTN prepaid subscribers a 200% bonus on every recharge of N100 and above. In other words, if you recharge N100, you will get 3 × 100 = N300. If you recharge N200, you will get 3 × 200 = N600 (3times the value of your recharge if you are on MTN Beta Talk) and so on. Everything you need to know about MTN BETA TALK is here. The bonus, Beta Talk voice tariff plan, migration code and benefits. How is the voice call tariff plan on MTN Beta talk like? Note: All national call, SMS and data will be charge from customer’s main account as soon as the bonus airtime is exhausted or expires. All MTN prepaid subscribers are eligible to migrate to MTN Beta Talk call tariff plan. How can I migrate to MTN Beta talk? • To migrate to MTN Beta talk; simply dial *123*2*6# or text BT to 131 to migrate. The bonus airtime will only be valid for 7 days after which it expires if not used. What are other benefits of MTN Beta talk? Please note that the 10MB data bundle is given once a week on recharge of N100, subsequent recharge with the same week will not attract 10MB data.